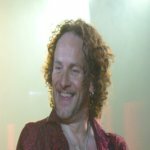 Def Leppard guitarist Vivian Campbell was recently interviewed by Metal Ireland and said the band are scheduled to play again in Spring 2014. Vivian talked mostly in the interview about Last In Line, their tour plans, his illness and went on to mention that Def Leppard are scheduled to play live again in the Spring of 2014 and will be writing new music before then. The interview took place on 4th August. Both Vivian and Joe have recently hinted at a return to Las Vegas. Other possibilities include the recent announcement by Bret Michaels of Poison. "Def Leppard's on hiatus. One beef I have about Def Leppard's work schedule is that it's full of big gaps. It's not the busiest band in the world. We work very intensely for a while, then there's months and months we dont see each other." "Right now we're in one of those phases. I've just finished a month of shows with the guys but we've got nothing scheduled til next spring, other than maybe coming up with new music." "I'm actually almost done. I did chemo number 9, out of 12, this past monday in LA. The last couple have been pretty straightforward. I'll be done by the end of September, and I might even have some hair by Christmas."